Our Karate classes give kids tools for success through self defense training, life skill development and building their belief in themselves. Self Defense: We teach important techniques to protect children from bullies and also develop life saving “stranger danger” knowledge. In their self defense training the children learn the difference between the right and wrong time to use their martial arts skills. Self Confidence: The children grow both physically (improving balance, coordination and fitness) and mentally. Our training gives them a sense of accomplishment and worth. Feeling good about themselves empowers the child to act and be themselves comfortably around others. It also strengthens them to make correct choices when faced with peer pressure. Character Development: Our students learn and demonstrate focus, discipline and respect for others. The child must demonstrate these qualities not only in the dojo but also in school and at home. 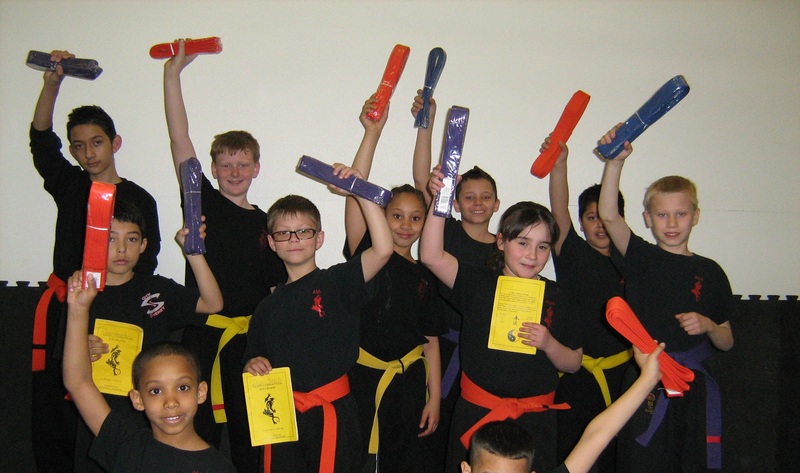 We invite all parents to bring their children to Synergy Martial Arts to try it out! Call 303-650-5566, and mention ‘online special’, to receive a FREE uniform when you set up their introductory classes!